Finclock Timesheet application helps managers to track staff attendance and improve employee performance. Finclock timesheet application works both online and offline. Finclock Time sheet app is rated number one android application for attendance in the world. The application is simplified into 4 simple steps. Using the best timesheet application online provides employers and managers with best real time attendance reports. Using this attendance application, managers are able to view staff attendance reports online. Employee timesheets, which is automatically sent to the online attendance system. 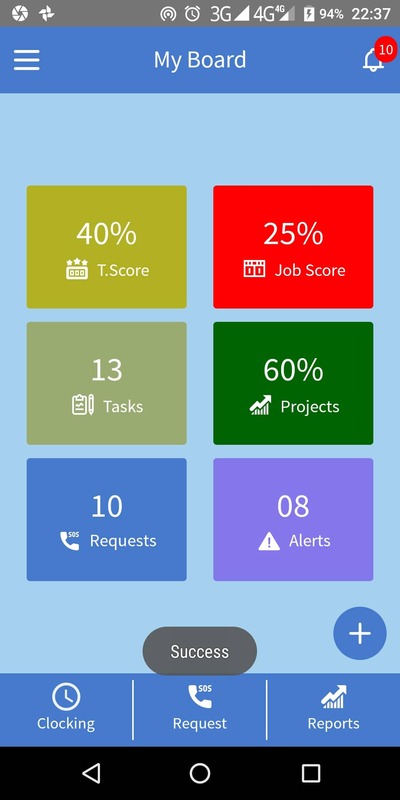 Employee daily task reports, which helps each manager track the progress of their projects. Performance records of projects, meaning that the company will save time and money in projects. Best Timesheet application online is FinClock. At the heart of hr management practices is time management. Current world requires proper management of time as companies try to save operational costs. Timesheet apps have become an important asset to modern hr managers in different areas. Using timesheet application for office workers helps reduce the time used to track each employee. Using the best timesheet application for businesses, small and enterprise businesses across the world have stopped absenteeism in their organizations. The top timesheet app has been used by managers to process payroll of the employees, based on the hours worked by the employees. The timesheet software is used to calculate the normal working hours and overtime hours worked by employees.Then, these hours are sent to attendance software online. Start using the best timesheet app and save time and money in your business. Fieldwork timesheet application that work offline is now available. Finclock provides the timesheet application for fieldworkers, which does not need internet to work. Here, employees download the android outdoor timesheet application and set up their profile. Using secret PIN, the employees will clock in and out, when they go to work and whey they leave work. This application supports multiple posts and tracking the time attendance for fieldworkers has been made possible. using the fieldworkers timesheet application, businesses have reduced the time wastage experience in the past. the best timesheets app in the world that cuts cost of outdoor projects and increases profits for businesses. Best timesheet for construction workers that works offline is FinClock. many construction workers require to clock in and clock out when they are at the site. Using Finclock timesheet application for construction provides a smooth management of payments at the construction site. Here, Finclock timesheet app for construction workers is designed to handle many workers. Some organizations will prefer to use the portable biometric attendance system, to manage many workers in a construction site. Here, Finclock timesheet software for construction offers the automated processing of payroll, where the employees can be paid per the number of hours worked. Using finclock timesheet software has provided a smooth operation for many companies. Depending on the size of the construction site, the number of portable biometric machines can be increased. The best part of Finclock timesheet software is the linking of all biometric machines to one online attendance system. Best timesheet application for sales people provides the required tools for sales reporting. Here, the sales person will use the timesheet app to first record their time. here, the employee will clock in and clock out, when they get to a certain workstation. The timesheet app for sales also includes the feature for recording sales reports. As such, the application provides a complete field sales management. The sales manager is able to track the location of sales people, both using a mobile or computer. A unique feature of the timesheet app for sales people is the ability to make requests. The requests management feature enables the salesmen and sales women to ask for items, directly from their mobile phone. Even better, the app for sales people works both online and offline. Students and teachers require to uphold proper time management. The best way is to use timesheet application for schools. 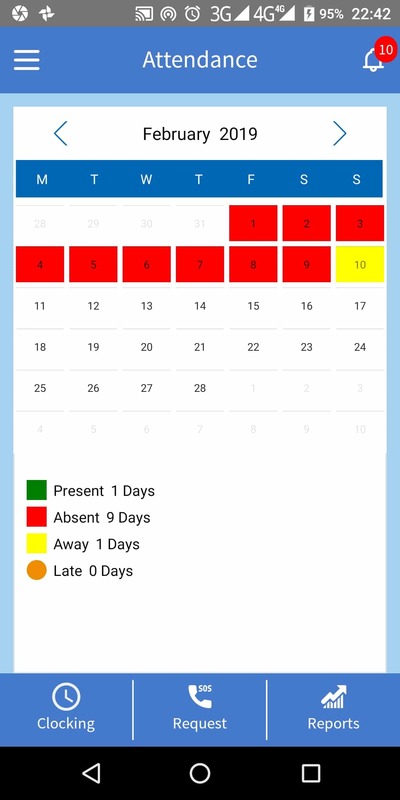 The timesheet app for students covers the attendance tracking per lesson/ session. The features here include time table planning and assignment of lesson plans to students. The students timesheet application also ensures that the student will clock in when in class. When students clocking away from their class, the school admin will see the reports of missed classes. Using the timesheet app for students solves many issues, as it also enables performance tracking of the student. In addition, Finclock timesheet application for schools includes assignment of tasks to students. Best timesheet software that saves time for small businesses. Finclock is the #1 timesheet app for construction workers. Timesheet software for government employees both in office and in the field. Finclock provides the best Timesheet software for fieldworkers. Best online timesheet software that does not restrict use for fieldworkers. Finclock is rated best online timesheet software for field service businesses. Increased performance of each employee because all employees know that they are automatically monitored. Reduced monitoring work for hr managers, as the employees are made responsible for their work. Automated project reports, which increases the performance of each employee. reduced operation costs as all expenses are reported on daily basis. Best attendance management system features includes timesheet reports, lateness reports, employee absence reports work progress reports and expenses reports. Who Benefits from timesheet application? There are many benefits of using timesheet software. The benefits can be realized from three main stakeholders in the hr industry. The benefits are realized by all people in the company or organization. Here, the office employees, fieldworkers, sales team and managers find that using timesheet system in the company saves time and money. Here is a brief on the benefits to be realized in the short to long term. Timesheet software ensures that you see employees reports in real-time. When you can account where your workers are, what they’re doing, and how well they’re serving your clients, the overall productivity of workers shall improve. When you embrace timesheet system, your administrative costs shall reduce by 20-30%. Time of response to issues shall be reduced thus management shall respond to an occurrence before the client notices. Customers shall see value of the employee work, since all routine duties shall be reduced, meaning that there shall be no loss of customers due to mismanagement. Using Finclock timesheet software helps streamline business, meaning that your workforce shall focus on wining new clients by offering what they need. Employee shall not continue performing unnecessary tasks, since the supervision and reporting shall be standardized. Your employees will use the timesheet apps or biometric clocking in and out, thus streamline their attendance reports. These steps helps faster processing of payments and requests, thus keeps your employees happy and dedicated to their work. The employees will be receive attendance alerts in case of a need and they will give alerts to the management as well. Such communication helps better understanding of working environment, which shall boost productivity and save on costs. There will be balance of duties and resources, and the employees will be happy at work. Here, employees can use the timesheet apps to request for leave, request for shift change, request for absenteeism and provide reasons for such actions. As such, the company shall have happy customer, happy manager and happy employees. #1 timesheet application with clocking in and out is Finclock Attendance application. Time sheet application working online and offline for all staff management needs. Start using the best application for workforce management, which provides real time data on employee attendance. The best application that generates timesheets automatically. 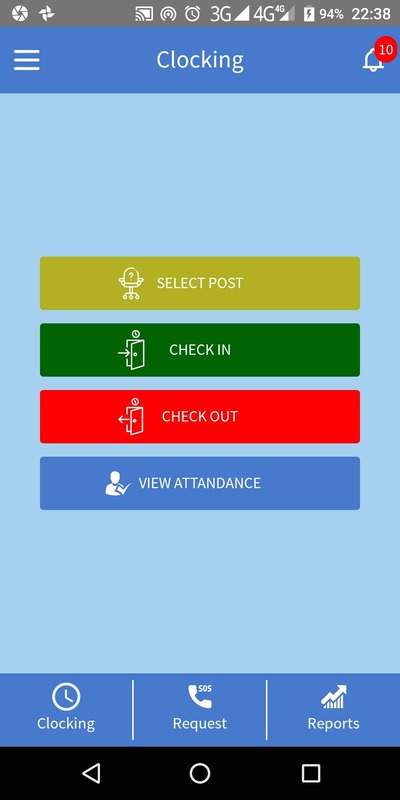 The managers will login to the web based attendance system directly using their phone or computers. Here, the managers will find the hours workers by employees. A manager can filter the hourly staff reports as per their need. Across the world, the managers will decide whether there is time theft, based on the total hours worked. Notably, every industry has the standard normal hours that an employee must complete per day, week or month. If the hours worked are less than the standard hours, managers will take actions such as giving warnings or deduction of payments. Finclock Attendance is the best timesheets app that shows employee performance as a percentage of expected hours. When an employee has high absenteeism cases, the staff performance is low. When an employee is constantly late, their performance is lowered from 100%. When an employee clocks in when away from their work station, their performance is lowered. High performing employees will get high scores and can be rewarded. The best attendance timesheet report shows that the employees with high absence records affect business or institutional growth and overall performance. Finclock timesheet application provides real-time absence reports that enable managers to weed out dishonest employees. The shift plans for an employee are automatically compared with their actual attendance time. Using the top attendance system, managers can see the lateness trends of employees. This is the best application because employees are made aware of their lateness and absence days directly on their mobile application. Finclock Timesheet app also calculate the reports as per the job category, department and even overall company lateness trends. These reports offer best decision making features for managers. 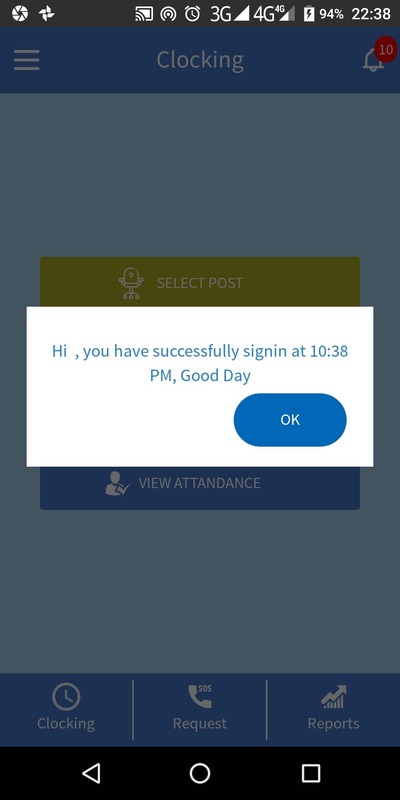 Using the Finclock Attendance app, employees can make requests for absence. These absenteeism request are either accepted or rejected by management, which is based on reasons. To make it better, You have chance to provide reasons, take photos and record audio reports. All these features work with and without internet connectivity. Finclock attendance will track employee location making it the best application for fieldworkers in the world. The employee workstations are already known and every time an employee clocks in away from their workstation, they are automatically flagged and recorded in their away reports. The location tracking ensures that employees take full responsibility of their activities and work as per the needs of the clients. Finclock provides top timesheet apps online that save your business time and money. This is the Only application for timesheets and location tracking. Finclock timesheet app provides reports in both excel and pdf. Also, Finclock customer support team provides free online timesheet software templates for your efficient staff planning needs. Finclock timesheet apps are all integrated to the online staff management software, which automatically makes your company operate digital reports. Think of how much money you could save if you could only pay for the number of hours worked by each employee. Think of how much better it could be if each student attendance was monitored. The best application for construction workers because it fits fieldwork and all outdoor conditions. Top software for attendance in outdoor workers. Application for staff management in the field. Best timesheet system online for field service management. Best attendance management application for sales people because of the reporting features and location tracking. Finclock remains the best staff timesheet application in the world that solves attendance management challenges. Using the best application for timesheet managers, which will cut the time wastage. Using Finclock staff timesheet application, you will eliminate wastage of hours in the field and streamline applications. Staff timesheets application offers best attendance application features. Download the best staff timesheet application today and increase staff attendance. The best timesheet system for hr managers that offers staff timesheet scheduling. You an use the best staff timesheet app to mark daily attendance. This is the best android application to transform company operations from manual timesheets. Best timesheet app for school management. Use the top employee timesheet application for outdoor workers. We offer the best advice on attendance software which you can find here. We discussed the way to choose a time clock app, which some people may refer to as attendance manager apps. Then, we narrowed down the list based on 5 main questions. From the list, we analyzed top 5 time clock apps and the winner was FinClock Attendance Management System. As a cardinal rule, any technology must make things easier to both the managers and employees. Today we shall focus on timesheet apps and at the end, you will be able to choose wisely. Let us analyze these essential features briefly. What is a timesheet app? Before we contextualize timesheet app, we need to understand the meaning of timesheets and their use to attendance management. A basic definition of a timesheet is a document containing attendance record for an employee department or organization. Here, a timesheet can be generated from manual entries or from timesheet software. A timesheet can either be generated into an excel sheet or a google spreadsheet. There are two main ways of generating timesheets which include biometric attendance systems and timesheet apps. Timesheet apps are based either on android or IOS mobiles. Recently, we have the timesheet system for Fieldwork. These timesheet system will record the time attendance of an employee, both indoor and outdoor. You may be asking, where to get these time attendance apps by now. Don’t worry because any hr manager can either buy the timesheet apps or get a free trial. After registration, the next step is to set up your company account. Here you can set up your company logo, name, set company goals etc. Then, you will invite employees to join the application platform. When an employee goes to work, they will clock in and clock out when they leave their workstation. The timesheet app will then create an attendance record, which can either be sent to an online attendance system or be retrieved locally. You can find the best online attendance systems here. Why use Timesheet apps with online attendance systems? In the recent past, biometric attendance systems have helped generate timesheets as a replacement to manual records. There are advantages of using these attendance management systems when creating the timesheets. One of the main advantages is to avoid cheating in time records. When an employee clocks in and out, the attendance time is recorded and at the end of the given period, an excel document showing the complete timesheet is generated. In most cases, the biometric attendance timesheets are retrieved from a local device using removable disks or a centralized local area network. Reports show that there has been a great concern on the excel timesheets recorded on local computers and networks. Recently, hr managers have found out that some cheating employees may edit their timesheet when they get access to the biometric attendance system. As such, they are not able to track the actual timesheets software records. A biometric attendance system that does not allow cheating must provide a backup of the timesheet records, which cannot be edited. The only online attendance system that offers that capability is FinClock attendance management system. You can find a free demo here. What are the best timesheet apps? Essentially, a good timesheet app must provide the managers with features that help them to make the right decisions. Some of the tools include time card reports, employee location, lateness reports, absence management, staff performance and standardization of the reports. We need to define the assessment criteria when analyzing the best timesheet apps and then focus the 8 essential features of timesheet software. Finclock is the best timesheet software and application for workers, which offers best reports for hr managers. Finclock Attendance application for Outdoor workers is the best for people working in the field. The only offline timesheet application in the world. Best timesheet software for schools that is used by teachers, students and support staff. Finclock Attendance application provides real time reports for each student. many schools are using the performance reports to show the attendance score of students. Finclock is the best timesheet software security firms. The application helps in guard tracking and time management. The application gives the operations managers peace of mind as they know each guard is alert at all times. Top Timesheet software for Construction workers remains Finclock. This application provides timesheet reports, daily task reports and real time requests, thus cutting the time of response. Best timesheet software sales people because it tracks the employee location, employee tasks and provides real time reporting features. Register today to start using the best timesheets application for all staff performance working both indoor and outdoor. Where will the attendance system be applied? Is the timesheet app meant for office and field service attendance management? If it is meant for outdoor staff management, how do we ensure that the timesheet app is going to work with or without internet? Does the attendance system support many employees? Does the application have staff location tracking? Does the time sheet software work with all computer operating systems? Does the whole attendance system integrate with other staff management systems? Is the pricing within my budget today, tomorrow and in the far future? To answer these questions my research team documented these essential features in any attendance management system, which supports the timesheet apps. The aim of a staff attendance system is to provide the best analysis of staff performance. This is a broad topic which we shall be covering in the next section. Here, we focus on the timesheet reports as a feature in timesheet apps. You may realize that most attendance systems will provide bulk data which will end up as another time record that may never be analyzed. In the past, it was understandable to ignore the bulk timesheet records because of the time constraints. Thanks to hr management application, now it is possible to obtain a close analysis of reports from different stages. How many employees do the timesheets software reports serve? How many Branches, posts and workstations are there in your organization? How do you expect to access the timesheet reports? When you ask yourself these questions, you will come up with answers that will contextualize the timesheet reports that will fit your company needs. From that, consider the other factors such as price and technical support. I recommend you register a free demo here with the top 5 attendance management systems and evaluate each of the reports. Maybe you can start by registering a free 21-day trial. The first step to embracing a time attendance system is to have custom timesheet software templates that fit the goals of your staff management software and business goals. Here, we consider a good template to have all the fields needed to show the employee data, attendance records and the attendance time calculations. We can focus on mandatory employee information, which includes the Employee name and Identity number. The identity number can be the workforce number, National ID number or even the social security number. In many organizations, staff allocation is based on defined workstations. Thus, the employee workstation becomes another important field of a good timesheet template. Timesheet template must be provided in standard formats, which include excel or pdf. In most cases, the timesheet apps shall work with a standard excel format. This format is acceptable but there needs to be a backup that cannot be edited. The main reason for this condition is to ensure the integrity of the information stored in the timesheet templates. Here is a timesheet template sample in excel. The timesheet templates must allow customization. It is important to choose the best timesheet app with automated customization features. Our research last month shows that there are many options to timesheet templates in the market. However, a further analysis shows that only two attendance systems have fully customized timesheet templates that can fit any staff attendance manager’s needs. Find the top timesheet templates and samples. A timesheet app calculator should be able to show the time of clocking in, time of clock out, total hours worked per day, total hours worked to be a week and most importantly, total hours worked per month. The timesheet software calculator must, therefore, be able to show the total expected wages for a given employee. The most important feature here is simplicity and accuracy. This means that when choosing an online employee attendance management systems, ensure that the timesheet calculator has the capacity to replace all manual time card calculations. Look closely and ensure that all levels are well captured. We need to understand that a normal timesheet app will just record the timesheet template for employees. Here, we are talking of an attendance calculations, which as a staff attendance management systems and application you would be required to do manually. Here is a good timesheet app demo that you can sign up for free. A common challenge to hr managers is to manage absenteeism. Ideal state would be to have no cases of absenteeism in a company. However, this is not possible. Absence management with timesheet app should allow staff to handle the cases of absenteeism, either by reporting directly through the mobile app or by making prior arrangements. We all agree that absence should be reported before, but some cases may lead to late reporting. The late reporting is the main challenge. The best way is to have absence management in the timesheet app, where the employees can make requests directly. The absence reports from the timesheet software should then be sent directly to the right department. A good absence management system or a timesheet system should enable the employees to make direct requests for absenteeism. The managers are therefore in a position to make proper plans for their employees. Since absenteeism reports will affect human resource productivity negatively, the hr manager will view the absence reports and either approve or reject requests from the employees. Thus, a good absence manager app, either in a mobile application, online employee attendance management system, or hosted in a Local Area network will ensure that each employee is able to report their cases using a mobile phone. With the help of a good attendance management system, the hr manager is able to find real-time reports and make the right decisions on time. Here is a list of the top 5 absenteeism management tips and benefits. The standard lateness management method is to record the lateness time and store the data for future use. However, best hr management practices recommend that the staff attendance and records management system should provide automated lateness management. We have reviewed many timesheet apps and found that the missing link is where the app crucifies the employees for lateness, without reminding them when they are late. As such, the best solution is to have the timesheet app to send automated alerts to the employees, 30 minutes to the expected time of work. The best time clock app that served this auto-notification is FinClock timesheet system. The number 2 in the list is humanity and the third spot goes to SAP attendance. We, therefore, recommend you to start a trial with FinClock attendance and experience the features for 21 free days. If that does not work, leave a comment and we shall contact you for further guidance. Gone are the days when a company operated in a single building. This case provides a need to have employees in different locations to mark attendance. How will a good time sheet app handle this case? The best way is to have the application do background staff tracking. Every time and employee clocks in or out, the time clock app must store the location. Using such a feature, the employees will have a good time at work and will not have to worry about too much interaction with the attendance management system. There are several staff location trackers which range from tags, stand-alone application and others. However, the time has come for staff to be left to take responsibility for their actions. Timesheet software apps that allow tracking of GPS location benefit both the employee and the boss. You will realize that some employee works very hard and are always on the move, trying to meet the goals of the company. But there are other lazy employees and the best way to separate these two groups of workers is to have real-time staff location. At the end of the day, the hardworking employees should be rewarded based on the data and the lazy workers may be motivated through the standard methods of performance management. Staff scheduling is another important aspect of online staff management system. Be it web-based, mobile or even locally hosted, shift scheduling should be a mandatory feature of a timesheet app. This is because most hr managers need a tool that replaces most of the routine workload. Thus, an ideal timesheet system must have the capability to help an already busy hr manager. Both timesheet apps and time clock apps have some of the necessities in this area. However, we conducted an analysis on 5 main shift scheduling systems in the market and the results depict that multiple enterprises have invested significant resources in niche-based applications. I would call this a mature field since most of the needs of indoor staff scheduling have been met in by the existing timesheet apps. Outdoor staff management and scheduling is still a green area to many tech companies today. The requirements of most outdoor workforce dictate the staff scheduling app must work both in online and offline conditions. This means that most timesheet apps will not work without internet, thus only a few can solve the real challenge. At the same time, a reliable staff scheduling system would require proper communication with the entire timesheet system. It is, therefore, a tag of war between the work environment and staff needs. If you are looking to solve challenges and serve outdoor staff scheduling needs, I would recommend you pick from top 5 attendance management systems. Then, take a look at the specific workforce needs in your area of work. Experience has shown that some of the available staff records management systems will target a narrow niche, due to the demands of outdoor workforce management. A good staff scheduling for construction workers may not fit the needs of the guard management system. If you still need help, here is my previous guide on staff scheduling software. Most attendance management software come as a stand-alone time attendance software. However, a visionary manager will look at the systems that will help them resolve most employee management at the same time. This necessitates choosing the best attendance manager software that solves as many challenges as possible. If you cannot find a complete software, the next step is to find an timesheet software that integrates with timesheet apps, hr management systems and even payroll software. We have reviewed some of the necessary items to look for when making this important decision. Our findings show that as a visionary manager, the best way is to choose an online timesheet system, which will easily integrate with your current hr systems. The list is long but the methods of integration helped us decide on the best choices. I will recommend this list of integration rules based on the previous guide we covered last month. Note that you may need the help of timesheet software solution companies to do the integrations. Thus, choose a competent company in employee management systems. Here are the top 5 companies that offer business management systems in the world. The last item to consider when choosing a timesheet app or any other timesheet software is the pricing. There are free time sheet apps in the market. However, the functions and features present may limit the business growth. As such, it is advised that you choose the premium timesheet apps in the market. The best way is to find the cost of attendance management per employee. Then, inquire from the companies on the terms of payment. Luckily here is the best attendance management systems that offers monthly and annual subscription options. This model is good because as your company expands, you will realize the need to incorporate more employees into the attendance system. So, you will increase the number of employees as per your budget. Find a free trial here and start your 21 days trial. During the trial period, you will not be charged and you will interact with the support team, who will offer guidance and support you during the implementation. We conducted the analysis and we have summarized the timesheet complete guide. As a business owner or an hr manager, now you can choose from the best. We have listed the features of the attendance management systems and in our list, you can choose from the best timesheet apps we have evaluated. In the list, the top 3 timesheet apps emerge to be FinClock timesheet software and application. Our Parting Shot is that as a manger, go ahead and choose wisely among the three top attendance systems. From the list, feel free to subscribe for a free trial and start experiencing the features. I am glad to have been of help and we believe that you shall be able to grow your business, motivate your employees and even improve employee engagement now and in the future. Register for a 21 days free trial and let the support team guide you to the journey of enjoyable and efficient employee management. Best timesheet calculator application that tracks staff timesheets automatically. Use time sheet calculator to pay employees per hours worked and reduce operational costs in business. managers across the world are eliminating time theft using the automated timesheet application. Using timesheet calculation starts by registering employees and assigning them shifts as per their work station. the online attendance system allows managers to either assign single or multiple employee shifts, based on the nature of company operations. The employees will use their special PIN or biometric timesheet attendance system to mark daily attendance. When an employee clocks in and out, the total time is automatically calculated. Then, managers can access the timesheet reports online. Finclock Timesheet calculator breaks down the attendance reports into three reports, which include shift hours timesheets, daily timesheet report and monthly timesheet report. Employees can view their calculated performance based on worked hours, lateness, absence and total attendance to tasks. This is the best application to improve employee productivity. Managers are using the time sheet reports to pay employees as per the number of hours worked. These reports allow managers to schedule payroll online. Download timesheets templates used globally for employee attendance management. timesheet templates that incorporate employee data and attendance reports. Use the timesheet template in both excel and pdf formats. Employees do not have to fill timesheet templates manually. Instead, the timesheet application automatically fills attendance records based on the time of clock in and clock out. Top timesheets app that offers online timesheet templates is available for android and IOS mobile phones. use the attendance templates that incorporates all important details of an employee. Using the attendance application, Employees will clock in and clock in when they arrive to work and when they leave workstations. Then, the timesheet records are sent to the cloud attendance management system. Timesheet templates online provide the following data to managers. Best time card app for attendance management. The mobile application that sends data to online attendance system and streamlines staff management. Use Finclock time card application to start tracking employee time attendance and location. Is there a clean, tamper-proof database of employees? Is there an real time attendance system to ascertain that employees go to their workstations on time? Can the location of employees be automatically tracked through a geo-fencing mechanism? Does the employee attendance data get integrated into a secure online timesheet system, which can be accessed via computer or a mobile phone? Do you receive real time reports from the timesheet system, directly to your office or phone? Do you receive timesheet reports from the workplaces in the right format to enable processing of employee timesheet and payroll records? FinClock Time clock plus timesheet system is provided as a mobile attendance application to all employees. Then, the employees create profiles which goes to the online employee management account. Note that the employee profile is directly linked to the Attendance, Human resource and project management systems. Employees will then mark attendance every day, from which the monthly timesheet report is automatically generated. The monthly timesheet can be used in payroll processing. Here, the payment will be based on the number of days they appear at work. Manage absenteeism by having unapproved absence days being penalized in the wage calculation. The managers will be able to reports from all stations at the same time, directly from the computer or from the phone. Managers shall be able to track the position of the devices, and then be able to send direct messages or warnings to the station. Attendance managers are also able to review individual attendance reports, sent from the workstation. Best online time clock applications allow employee management. However, there are different methods of analysis. Here are the best functionalities of #1 online time clocking application. The employees who have been registered will require to sign in when they get to their work place and sign out when they leave the workplace. The employees will use their online time clock application to sign in or sign out, with or without internet connection. The employee attendance data shall be uploaded to the secure server when an internet connection is found, regardless of the time range. The employees can view their timesheet and the monthly performance, directly from the mobile phone. However, the employees cannot edit their timesheet. Using FinClock online time clock application, attendance tracking is tamper-proof and employees cannot cheat. This application has made man employers and managers automatically know the best employees and the worst performing employees. FinClock attendance application has helped streamline shift management and scheduling, since the mangers can automatically assign employee shifts, based on the different work stations. FinClock online timesheet app allows assigning employees to multiple workstations. FinClock attendance system is connected to the online time clocking application, which makes it easy to process timesheets and payroll. Timesheet system that works offline. Best application for attendance in areas with internet problems. Best field staff timesheet application for outdoor attendance. Find the number one application for fieldworkers in areas with internet problems. Solve attendance management challenges in areas without internet. Using Finclock Application for attendance managers provides best solution for many people across the world. Being able to work track attendance without internet provides a solution for wide range areas. FinClock timesheet system has been proven by thousands of users to have these top 8 features of best time tracking applications this year. Best timesheet system app for guards. The best android application for time management. Best fieldworker timesheet application for time attendance online, with project management features as well as hr management features. Most popular attendance app online. Top app for business owners online.